Dzis na wyzawane Words & Paintery . Fab project. Love all that texture. 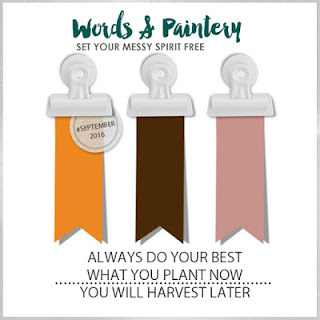 Thank you for joining us at Words and Paintery this month! I love all that texture you created! And layering! Love the textures and layers! Brilliant! Thank you for joining us at Words&Paintery! Stunning layer work! Gorgeous art! Amazing layout! Gorgeous textures! Thank you for joining us at Words&Paintery! Gorgeous layout with so many details and textures! Thank you for joining us at Words and Paintery! so marvelous!!!!! wonderful! Thank you for joining us at Words&Paintery. This is amazing! I love love love that background, I am wanting to be that bold with paints and textures, I think it's an fabulous look! Congrats!!!! !